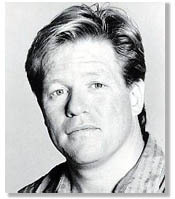 Jimmy Tingle was born and raised in Cambridge, Massachusetts. The social, political and economic diversity of that city laid the groundwork for his development as a performer and eventual satirist. He started performing in 1980 during the early stand up comedy scene in Boston and quickly rose through the ranks from open-mike performer to paid engagements, headlining at comedy clubs and colleges nationwide. He just completed two seasons with 60 Minutes II on CBS as the humorist / commentator in the Andy Rooney spot. He worked as a contributor and satirist for MSNBC and has appeared on The Tonight Show, Larry King Weekend, The Late Show with Conan O'Brien, The Late Late Show with Tom Snyder, The American Comedy Awards, and on his own HBO "One Night Stand" comedy special. He has been featured on National Public Radio with Terry Gross and "Fresh Air" and "Talk of the Nation" with Ray Suarez. He is currently a regular contributor to WBUR's Morning Edition in Boston.